As hearings into the Northern Gateway pipeline continue, Enbridge, the company behind the $5.5 billion project to transport oilsands crude 1,170 kilometres from Brudenheim, Alberta to a new marine terminal in Kitimat, says it would consider moving the pipeline terminus to another location further north. In a conference call announcing Enbridge's fourth-quarter results, CEO Pat Daniel said the company will look at ending the pipeline in Prince Rupert instead of Kitimat, where the project has faced staunch opposition from local First Nations and several environmental groups. "Recently, I have indicated that we will re-examine that to see whether there is another way to get to Prince Rupert, but all of our engineering and environmental studies continue to point in the direction of Kitimat being the best alternative," Daniel said. "We want to make sure that we have thoroughly evaluated any and all routing opportunities." An unprecedented 4,000-plus people – the vast majority environmental activists – have been scheduled to speak for a collective 650 hours at public hearings on the Northern Gateway pipeline. The hearings began on Jan. 10. 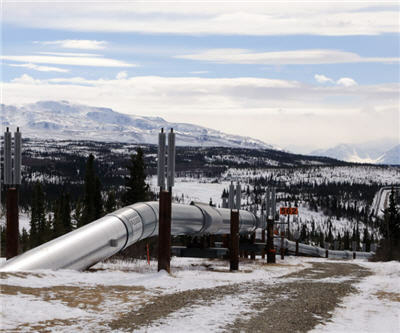 The project gained a new imperative after the Keystone XL pipeline project was stalled; in January Washington refused to approve it within a tight deadline set by the U.S. Congress. Alberta oil sands production is set to more than double to 3.7 million barrels by 2025 out of a total of 4.7 million including conventional oil. Production in the US, particularly from the Bakken basin in North Dakota, will see the country ramp up current output of 7.8 million barrels/day to 10.9 million barrels over the next few years.